The programming language Groovy has a bit of a checkered past. Before it reached Release 1 in early 2007, it was almost abandoned because of a series of development problems. But some dedicated developers reworked it, gave it new life, and helped it gain acceptance in a widening array of commercial projects. Release 2.0 became available last year, and you can download 2.1, with 2.2 in beta. Groovy is doing groovy now, thank you very much (and thank the Grails web application framework, too). Groovy is not for coding beginners, nor is it a means to avoid learning Java. This book–well written and nicely illustrated with short code examples and screenshots–”is aimed at Java programmers who already know the JDK [Java Development Kit] well but are interested in learning the Groovy language and its dynamic capabilities,” Dr. Subramaniam says. 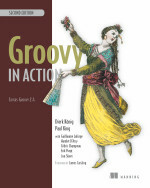 Part II: Using Groovy – Shows “how to use Groovy for everyday coding–working with XML, accessing databases, and working with multiple Java/Groovy classes and scripts….” Also delves into Groovy extensions and additions to the JDK. If you are a Java developer seeking new tools. new challenges, and new horizons, this could be the right time and right way to get your groove on: with Groovy 2 and Dr. Venkat Subramaniam’s fine how-to guide. 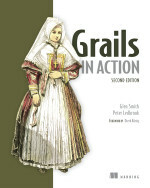 The 12-chapter, 344-page book focuses on the inner workings of the Grails 2.0 feature set and emphasizes “best practices for building and deploying Grails applications,” including topics such as “performance, security, scaling, tuning, debugging, and monitoring.” It is written clearly, and its text is kept reasonably short between topic headings. Numerous short code samples and other illustrations are included.